One of the most delightful showrooms we visited while in London was Lapicida. 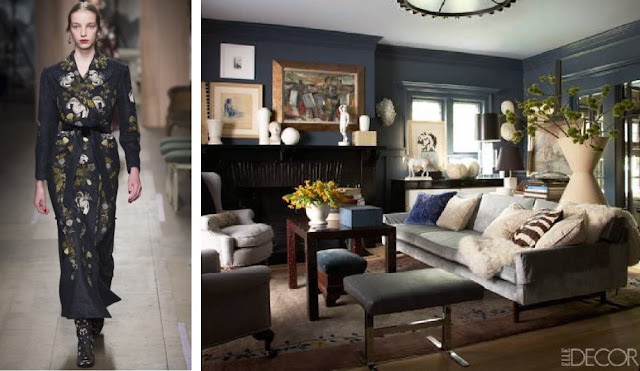 I was feeling under the weather that day, but I have to tell you, walking up the stone staircase and through this beautiful and inviting entry to the showroom picked my mood right up. There was tea and coffee and cake awaiting, and while we sipped and nibbled, we browsed a glorious stone collection. From antique reclaimed stone floors to modern computerized cut sculptures. I have always believed that a company is only as good as the people who work for it. When you have people who are passionate, and proud of the products they make and represent, it is reflected in every word they speak. The gentleman who guided us through the showroom, was really passionate about the work Lapicida created. Every rock had a story! Whether it was about a giant piece of marble with a pattern that carried through the depth of the entire block that would create a beautiful visual on a wall, or the hand inlay work of artists that create intricate mosaic patterns, or the work of a highly sophisticated machine that carves intricate details into solid stone, suddenly we weren't talking about rocks anymore. It was art, both ancient and modern. Work of an inlay artist creates this beautiful stone pattern. 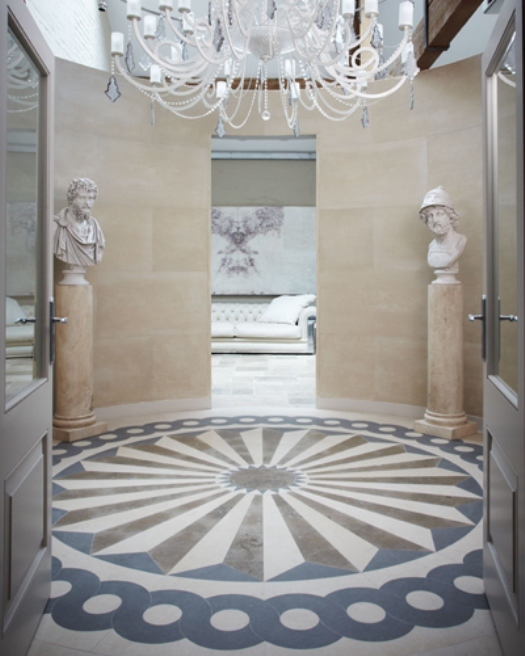 And example of a pattern created through natural stone by mirroring the sheets of stone. This one is quartermatched, and covers over 42 sq feet. I fell in love with this pattern, I had visions of it bordering an outdoor walkway, and it can be created in various tones. Just beautiful! Reclaimed Limestone floors from France between approximately 1820-1900. 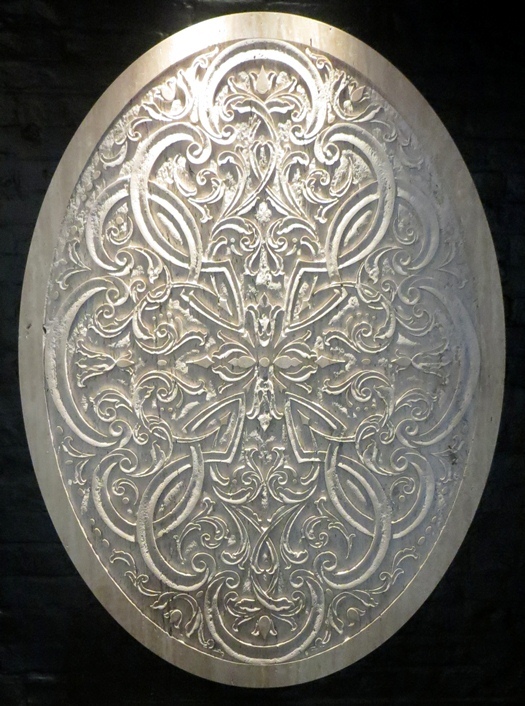 This giant stone medallion was cut on an intricate CNC machine. Thank you kindly Lapicida for the sharing your passion for stone, and for an inspiring afternoon of tea and treats.